KOCHI: Fort Kochi Sub Collector S Suhas on Wednesday made a strong pitch for simplifying the state’s land laws as well as updating the existing system, while pointing out that the need of the hour was improved governance and lot less governments. 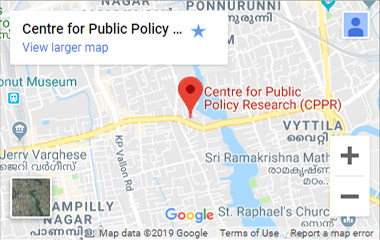 Speaking at an interactive lecture on the Land Laws of Kerala, organised by the Centre for Public Policy Research (CPPR) in Kochi, he revealed that Bengaluru had benefitted considerably as a result of simplifying its systems. Commenting on the recent row over the reclamation of wetlands and paddy fields, Suhas opined that efforts should be made by leveraging technology such as GPS and Google Map to find out if and where land existed, irrespective of its nature, and if these were barren, efforts must be made to utilise them for development.